Baby books don't have to be the only books at your baby shower! 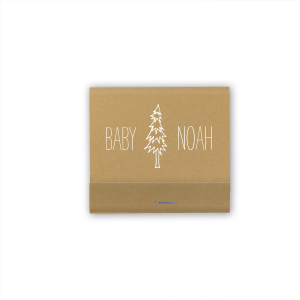 Create custom 30 strike baby shower matchbooks in a natural or shimmery paper color to share at your baby shower today. Sometimes the perfect way to reveal baby's gender at a gender reveal is through the small details. 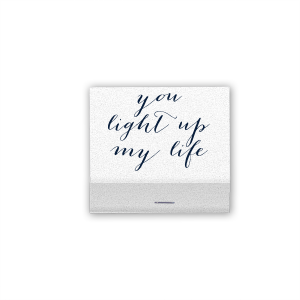 Custom 30 strike baby shower matchbooks are the perfect personalized detail for your baby shower. 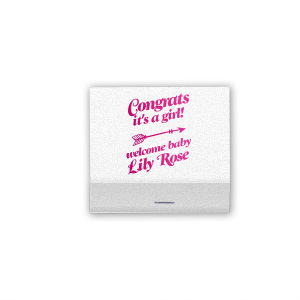 Foil stamped in the color of your choice (pink or blue, hint hint), then add a catchy phrase like “He or She? 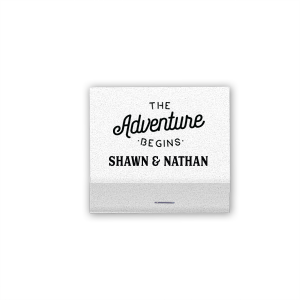 What will it be?” to create a unique customized baby shower 30 strike matchbook. 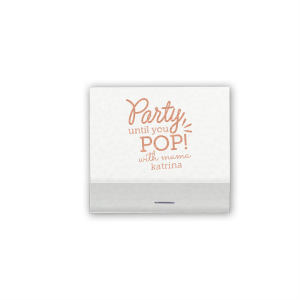 Mix and match designer fonts to create your personalized 30 strike baby shower matchbooks for the shower you're planning. 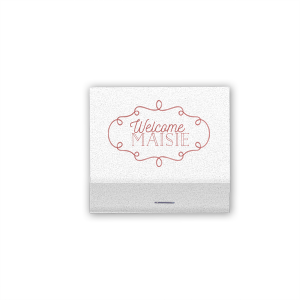 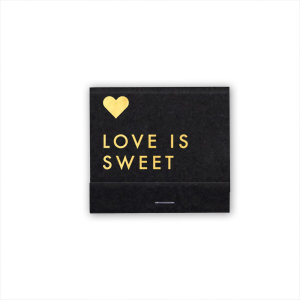 It’s easy to add a cute phrase like ”peek a boo, can’t wait to see you” or something simple like, “Welcome Baby” to create your custom baby shower 30 strike matchbooks. 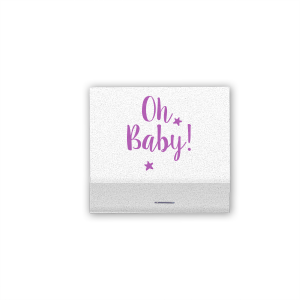 Get started personalizing your custom 30 strike baby shower matchbook today.